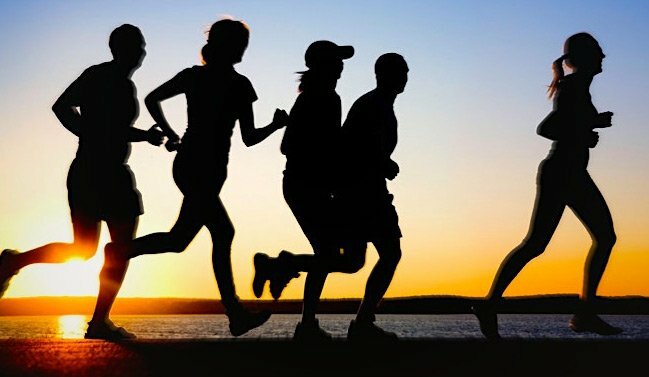 Running (jogging) is hugely popular amoung all age groups as a way of getting fit and maintaining a fit and healthy lifestyle. There are numerous benefits of taking a run as part of your fitness regime. In this Q&A session Kelly, a personal trainer from Dubai who works with Revolution Fitness gives some advice and tips on how to enjoy running as a training method. Running, jogging and even sprinting. We know these can be great ways to get some exercise into our lives. Can you summarise what the major benefits of running/jogging are when used as a regular part of a healthy lifestyle? Cardiovascular health – Every time you run you decrease your resting heart rate, so your heart doesn’t have to work as hard to keep you going! Strengthen your lungs – Running will increase your lung capacity. Weight control/ Weight loss – Depending on how much effort you put in, running will burn loads of calories. Relieve stress – Running boosts your brains serotonin levels which make you more relaxed and calm, in turn relieving stress. Improve joint stability and strength – The more you run the more your joint will be able to bear as you are strengthening your ligaments and tendons. Increase confidence – You will feel more in control of your body, your life and the way you look as things. By setting yourself goals to push further and achieving them you will boost your confidence and self-esteem. You will gain more confidence with every jog. The heat in the UAE can put many people of running. As a personal trainer who has running experience how do you deal with this yourself? Head out early in the morning or late at night – lunchtime runs are a no-go during the summer season! Head out when the temperatures are at the lowest. Hydrate – Drink water or a sports drink 30min before you head out, then drink little and often during your run. Take it slow – As the temperature rise, bring your pace down slightly. 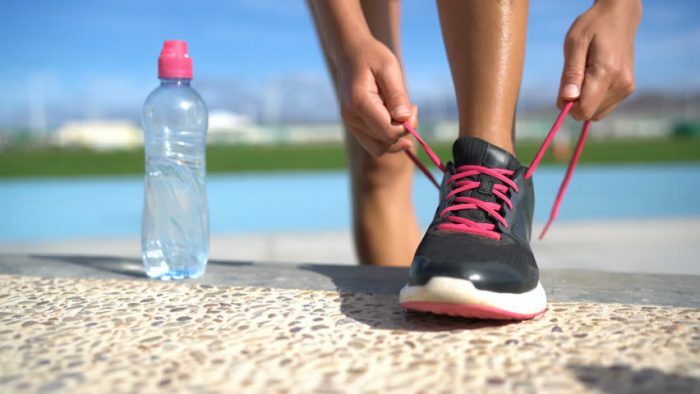 Also give your body time to get used to running in the hot weather, your body will acclimatise to the hot weather so if for you first few weeks you need to take it slow, then take it slow. Does a running machine (treadmill) provide the same benefit as getting out there and running in the park, the beach etc? When you train on the treadmill you can get a similar workout as running outside providing you maintain the same effort level. Effort level can be judged on your heart rate or RPE. Having said that, Training at the same pace on the treadmill will expend less energy compared to training at that same pace outside on flat pavement. This is due to many factors such as; the lack of wind resistance, terrain changes and because the treadmill belt helps move you along. TIP: If you raise the incline to 1.0 on the treadmill, you will be training as similar level to running or walking on flat pavement outside. There are studies that show running can also be used as a great way to reduce our stress levels. What are your thoughts on this? Running boosts your brains serotonin levels which will make you more relaxed and calm. Running also produce endorphins which are chemicals in the brain that act as natural painkillers and also improve the ability to sleep, which in turn reduces stress. For someone new to running/jogging how would you prepare a training plan and what would your top tips be? The personal training plan for running I would devise would depend on distance the client wants to run and timeline. We would start by assessing how far you can jog/run to begin with then set small achievable goals to increase distance with every run. Also vary your changing, try adding some intervals to your plan. My top tip would be to make sure your goals are achievable and you are progressing with every run. Is it a good idea to eat before your running session to provide energy and what would the best foods be? It’s not a good idea to run after a big meal however, I would definitely recommend having a small carb snack 30 – 90 mins before you go running. Try eating a banana, oats or wholemeal toast. Female Dubai Personal Trainer Kelly has been living in Dubai for 2 years and completed her Advanced Personal Trainer qualification in 2016, she then went on to complete ante & post-natal qualification this year. If you need a personal trainer in Dubai to help you achieve your fitness goal Kelly prepares personalised fitness plans for all ages and abilities. You can view Kelly’s full UAE personal trainer profile by clicking the link below.